Draft: 2013, New York Yankees, 36th rd. Graduated from Hialeah H.S. (Fla.) in 2013. Saw his first Major League action with Baltimore, making four relief appearances and posting a 7.71 ERA (4.2IP, 10H, 4ER, 4BB, 3K, 2HR)… made the Orioles Opening Day roster as a Rule 5 selection… made his Major League debut in 3/31 loss vs. Minnesota (2.0IP, 3H, 1ER, 2BB, 2K) and recorded his first career strikeout (Byron Buxton in the sixth inning)… had one scoreless outing, in 4/7 loss at the Yankees (1.0IP, 1H, 1BB)… was designated for assignment on 4/10 and returned to the Yankees on 4/13… made one relief appearance with Double-A Trenton on 4/16 at Erie (3.1IP, 1ER), then joined Triple-A Scranton/Wilkes-Barre for the rest of the season on 4/20… went 6-6 with one complete game and a 3.71 ERA (111.2IP, 95H, 50R/46ER, 37BB, 96K, 13HR) in 23 games (18 starts) with the RailRiders… allowed 1H and 1BB over 6.0 scoreless innings to go with 10K in 7/16 win at Toledo… following the season, made eight starts for Oriente in the Dominican Winter League and was 2-0 with a 1.71 ERA (42.0IP, 26H, 9R/8ER, 10BB, 45K, 3HR). Spent time in three levels of the Yankees organization, including Class A-Advanced Tampa, Double-A Trenton, and Triple-A Scranton/Wilkes-Barre...Went a combined 7-4 with a 2.06 ERA (24 ER/104.2 IP) in 30 appearances (13 starts)...Began the season with the Tampa Yankees and made one appearance on 4/7 at Lakeland (4.1 IP, 6 H, 1R/ER, 1 HR, 1 BB, 3 K) before being promoted to Trenton...Went an undefeated 5-0 with a 2.60 ERA (15 ER/52.0 IP) in 18 games (7 starts) at Trenton...Posted a 1.49 ERA (8 ER/48.1 IP) in 11 games (6 starts) at Triple-A...His 13 starts and 30 appearances between the three levels each marked a career-high...Named an Eastern League Mid-Season All-Star with Trenton...Did not allow an earned run in the month of July (18.1 IP) in six games (one start)...Made four starts for the Estrellas de Oriente in the Dominican Winter League…Went 2-1 with a 1.25 ERA (3 ER/21.2 IP)...Acquired by the Orioles on 12/14 in the Rule 5 Draft. Pitched at four levels of the Yankees system, combining to log an 11-4 record with three saves and a 1.53 ERA (106.0IP, 61H, 25R/18ER, 24BB, 115K, 5HR) in 21 appearances (12 starts) at Single-A Charleston (13G/8GS), Double-A Trenton (1G/0GS), Single-A Tampa (6G/3GS) and Triple-A Scranton/Wilkes-Barre (1GS)… had the lowest ERA and WHIP in the minor leagues (min. 100.0IP), and led all minor league pitchers with a .167 opponents' BA (61-for-365); LH .149 (13-for-87), RH .173 (48-for- 278)… posted the seventh-highest strikeout rate (29.0%, 115K/396BF) in the minors (min. 100.0IP)… ranked fifth in the organization in wins… in 12 starts, was 7-3 with a 1.30 ERA (69.1IP, 45H, 12R/10ER, 13BB, 73K, 3HR)… began the season with Charleston and went 6-2 with two saves and a 0.79 ERA (68.1IP, 36H, 10R/6ER, 15BB, 75K, 3HR) in 13 games (eight starts)… was a South Atlantic League Mid-Season All-Star… earned SAL "Pitcher of the Week" honors after recording a career-high 12K over 6.0 scoreless innings (2H, 1BB) on 5/19 vs. Columbia… made one relief appearance with Trenton on 6/26 at Akron, permitting just a two-run HR to Clint Frazier over 4.0IP (2ER) while earning a save… logged a 4-2 record and 3.21 ERA (24H, 13R/10ER, 4BB, 31K) over six appearances (three starts) at Tampa… was named FSL "Pitcher of the Week" for 8/15-21 after fanning nine batters over 7.0 scoreless innings (2H, 0BB) on 8/19 at Brevard County… his final appearance of the season was a start for Scranton/WB on 8/30 at Buffalo, and he tossed 5.2 scoreless, hitless innings (3BB, 4K, 1HP) to win his Triple-A debut… following the season, made six appearances for Scottsdale of the Arizona Fall League and posted a 4.70 ERA (7.2IP, 6H, 4ER, 6BB, 10K). Went 6-3 with a 2.26 ERA (63.2IP, 48H, 21R/16ER, 10BB, 66K) in 12 games (10 starts) with Rookie-level Pulaski… opponents batted .203 (48-for-236); LH .161 (9-for-56); RH .217 (39-for-180)… led the Appalachian League in opponents' BA and WHIP (0.91)… ranked second in the league in strikeouts and third in ERA and innings pitched… was named an Appalachian League Postseason All-Star… did not allow an earned run in four consecutive starts from 7/6- 23 (22.1IP)… was named the Appalachian League "Pitcher of the Week" for 7/6-12 (2GS, 1-0, 12.0IP, 6H, 0R, 1BB, 10K). Spent the season with the GCL Yankees 2, going 1-2 with a 2.27 ERA (31.2IP, 35H, 8ER, 5BB, 38K) in 11 games (two starts). Made his professional debut with the GCL Yankees 1, going 0-1 with one save and a 4.42 ERA (18.1IP, 9ER, 20K, 5BB) in 10 appearances (three starts). 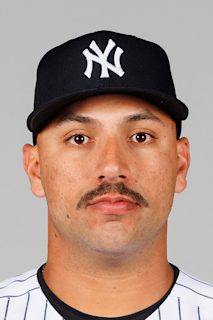 February 1, 2019 New York Yankees invited non-roster LHP Nestor Cortes Jr. to spring training. January 31, 2019 LHP Nestor Cortes assigned to Dominican Republic. December 20, 2018 LHP Nestor Cortes assigned to Estrellas Orientales. November 26, 2018 Estrellas Orientales placed LHP Nestor Cortes on the reserve list. October 13, 2018 LHP Nestor Cortes assigned to Estrellas Orientales. April 20, 2018 LHP Nestor Cortes Jr. assigned to Scranton/Wilkes-Barre RailRiders from Trenton Thunder. April 14, 2018 LHP Nestor Cortes Jr. returned to New York Yankees from Baltimore Orioles. April 14, 2018 LHP Nestor Cortes Jr. assigned to Trenton Thunder. April 10, 2018 Baltimore Orioles designated LHP Nestor Cortes Jr. for assignment. December 14, 2017 Baltimore Orioles claimed LHP Nestor Cortes Jr. off waivers from Scranton/Wilkes-Barre RailRiders. October 17, 2017 LHP Nestor Cortes, Jr. assigned to Estrellas Orientales. August 8, 2017 Nestor Cortes assigned to Scranton/Wilkes-Barre RailRiders from Trenton Thunder. August 8, 2017 Scranton/Wilkes-Barre RailRiders activated LHP Nestor Cortes. July 31, 2017 LHP Nestor Cortes assigned to Trenton Thunder from Scranton/Wilkes-Barre RailRiders. July 30, 2017 LHP Nestor Cortes assigned to Scranton/Wilkes-Barre RailRiders from Trenton Thunder. July 17, 2017 LHP Nestor Cortes assigned to Trenton Thunder from Scranton/Wilkes-Barre RailRiders. July 16, 2017 LHP Nestor Cortes assigned to Scranton/Wilkes-Barre RailRiders from Trenton Thunder. July 13, 2017 LHP Nestor Cortes assigned to Trenton Thunder from Scranton/Wilkes-Barre RailRiders. July 8, 2017 LHP Nestor Cortes assigned to Scranton/Wilkes-Barre RailRiders from Trenton Thunder. July 3, 2017 LHP Nestor Cortes assigned to Trenton Thunder from Scranton/Wilkes-Barre RailRiders. June 26, 2017 LHP Nestor Cortes assigned to Scranton/Wilkes-Barre RailRiders from Trenton Thunder. April 11, 2017 LHP Nestor Cortes assigned to Trenton Thunder from Tampa Yankees. February 27, 2017 LHP Nestor Cortes assigned to New York Yankees. October 18, 2016 LHP Nestor Cortes assigned to Scottsdale Scorpions. August 31, 2016 LHP Nestor Cortes assigned to Tampa Yankees from Scranton/Wilkes-Barre RailRiders. August 30, 2016 LHP Nestor Cortes assigned to Scranton/Wilkes-Barre RailRiders from Tampa Yankees. July 22, 2016 LHP Nestor Cortes assigned to Tampa Yankees from Charleston RiverDogs. June 27, 2016 LHP Nestor Cortes assigned to Charleston RiverDogs from Trenton Thunder. June 26, 2016 LHP Nestor Cortes assigned to Trenton Thunder from Charleston RiverDogs. May 8, 2016 LHP Nestor Cortes assigned to Charleston RiverDogs from Pulaski Yankees. June 22, 2015 LHP Nestor Cortes assigned to Pulaski Yankees. July 8, 2014 LHP Nestor Cortes assigned to GCL Yankees2 from GCL Yankees1. July 20, 2013 LHP Nestor Cortes assigned to GCL Yankees1. July 12, 2013 New York Yankees signed LHP Nestor Cortes.